Greetings Shambhala comrades and colleagues. 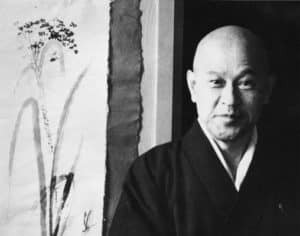 Forty-six years ago today, December fourth, 1971, Shunryu Suzuki Roshi died early in the morning during the first period of a five day meditation intensive, the traditional sesshin that ends on December 8th, the day Japanese Buddhism recognizes as Buddha’s enlightenment day. 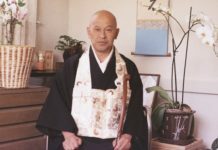 I don’t know how much the newer members of your sangha know about Suzuki but in case some know nothing, he came to America in 1959 and founded the San Francisco Zen Center. 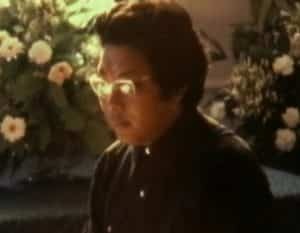 He and Chogyam Trungpa Rinpoche had a close and unusual relationship. They met at the monastery Suzuki founded, Tassajara, in the spring of 1970. Trungpa called Suzuki the only sane person he’d met in America until he met a shaman named Little Joe in the Taos Pueblo when the number was increased to two. 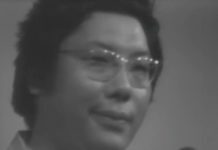 Suzuki invited Trungpa to give talks at Tassajara and at the San Francisco City Center and gave his blessing to students to go study with Trungpa, a unique situation. 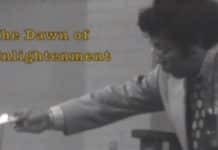 Trungpa and Suzuki were so opposite in their appearance, their teaching methods, their lifestyles. To me what they had in common was a commitment to help others to awaken in a Buddhist sense and a firm love of and trust in each other. There’s a word in Japanese, en, sometimes called goen with an honorific prefix. It’s used to describe a connection between people. I see it as good chemistry, karmic tie. Rather than say someone is a good teacher or a bad teacher they may say they had goen or did not have goen with them. That approach avoids comparisons and sweeping general statements. I’d say that Suzuki and Trungpa had strong goen between them. And many of us had goen with both of them. There’s been a lot written about each of them and their relationship. Rather than repeat any more of that, I’ll leave you with some links. 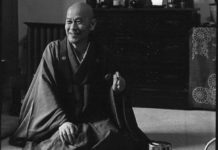 And on this 46th anniversary of Suzuki’s death which greatly saddened Trungpa, may we awaken to the wonderful truth their lives and teaching and relationship pointed to and which we must find on our own. If you’ve got anything to offer please send it to dchad@cuke.com. 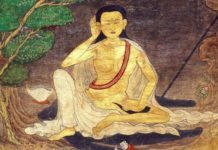 Yesterday afternoon (December 3, 2017), about 15 of us met online to practice the Sadhana of Mahamudra, something that we do each new and full moon. When the sadhana was over we stayed to remember/pay tribute to Suzuki Roshi on the eve of the 46th anniversary of his passing. Joanne read your letter (above), someone read the chapter from Zen Mind, Beginner’s Mind about the mind riding in and out on the breath. 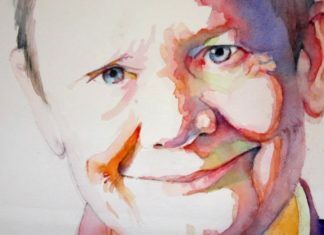 We also played a six minute clip from Sam and Hazel Bercholz talking about Rinpoche and Roshi’s connection. 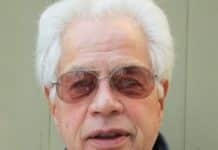 One person remembered visiting Tassajara with his parents when he was 15 and attending a talk that Roshi gave to a small gathering of his students. We also played a short audio clip from your archives of Roshi giving a talk. It was so good to hear his voice, a first for most of us. I think it’s fair to say that most students of Trungpa Rinpoche feel such love for Roshi, even though only a very few actually met him. Thank you for “goen” — it’s good to have a word for this kind of connection. 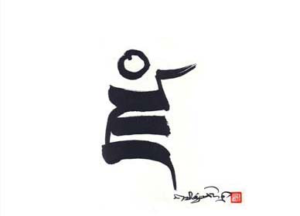 To some extent we inherited Trungpa Rinpoche’s connection with Roshi, but we also have our own connections with him through his teaching and by reading stories about his life. Thank you for Crooked Cucumber and cuke.com, and for the archive of Roshi’s teachings. Your work is like some kind of goen fertilizer. A big part of being a Dharma practitioner seems to be about fostering and honoring connections with people we never meet—for you guys a host of magnificent Zen masters and for us the lineage of Tilo, Naro, Marpa, Mila and the rest. Thank you for nurturing your branch of the family tree, and especially for everything you’ve done to help us (and others) develop goen with Suzuki Roshi. 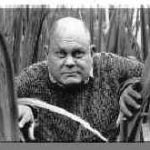 Our lives and our practice are so much the richer.